Studio Carpet Tile is attractive and stylish while built to perform in the heaviest of traffic areas at a very affordable price. Studio Carpet Tile is available in 7 distinct colour ways that are sure to coordinate with any dicor. The tiles are 19.7 x 19.7 (50cm x 50cm) making them very easy to handle and install. Studio Carpet Tile provides exceptional wear and is covered by our lifetime commercial wear warranty. Carpet Tile adds warmth and comfort making it a desirable option in the toughest of commercial or residential applications. Installation only requires measuring tape, chalk line, sharp utility knife and a carpenter square, along with a pressure sensitive carpet tile adhesive. Studio Carpet Tile is the perfect answer to your most demanding applications without compromising style. This Product Contains 54 Sq.Ft./Case. Transmit Carpet Tile is attractive and stylish while built to perform in the heaviest of traffic areas at a very affordable price. Transmit Carpet Tile is available in 6 distinct colour ways that are sure to coordinate with any dicor. The tiles are 19.7 x 19.7 (50cm x 50cm) making them very easy to handle and install. Transmit Carpet Tile provides exceptional wear and has our Never-Stain peace of mind warranty that the carpet will always be cleanable and will never permanently stain. Carpet Tile adds warmth and comfort making it a desirable option in the toughest of commercial or residential applications. Installation only requires measuring tape, chalk line, sharp utility knife and a carpenter square, along with a pressure sensitive carpet tile adhesive. Transmit Carpet Tile is the perfect answer to your most demanding applications without compromising style. This Product Contains 54 Sq.Ft./Case. Studio Carpet Tile - Iron Gate 50cm x 50cm - (54 sq. ft./Case) Studio Carpet Tile is attractive and stylish while built to perform in the heaviest of traffic areas at a very affordable price. 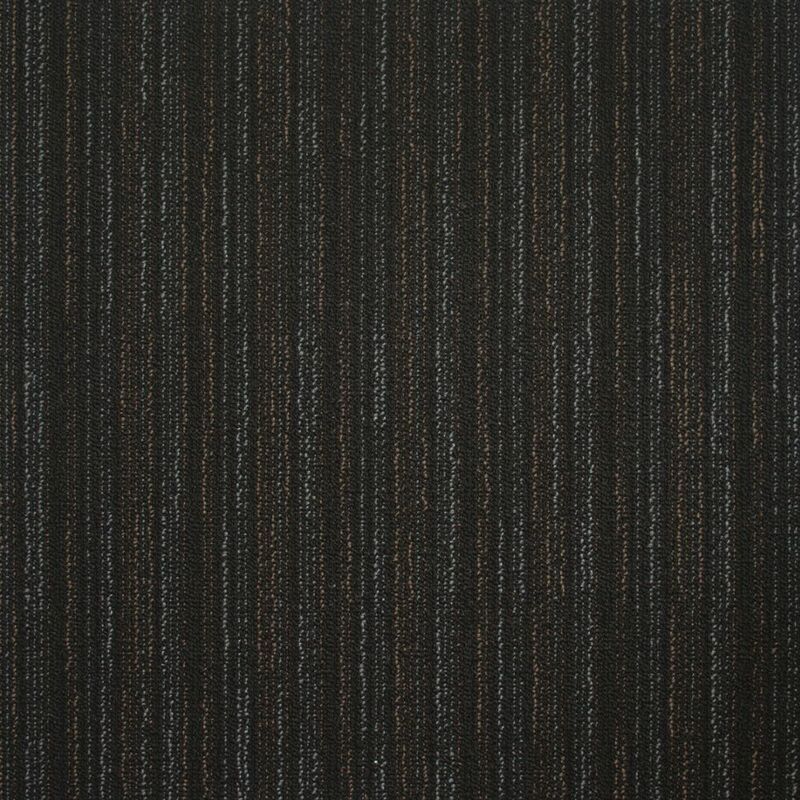 Studio Carpet Tile is available in 7 distinct colour ways that are sure to coordinate with any dicor. The tiles are 19.7 x 19.7 (50cm x 50cm) making them very easy to handle and install. Studio Carpet Tile provides exceptional wear and is covered by our lifetime commercial wear warranty. Carpet Tile adds warmth and comfort making it a desirable option in the toughest of commercial or residential applications. Installation only requires measuring tape, chalk line, sharp utility knife and a carpenter square, along with a pressure sensitive carpet tile adhesive. Studio Carpet Tile is the perfect answer to your most demanding applications without compromising style. This Product Contains 54 Sq.Ft./Case.